SALT LAKE CITY (AP) Utah officials are bullish about the prospects of hosting another Winter Olympics, but a co-chair of a new exploratory committee said they'll have to find a way to reduce costs to make it feasible. Fraser Bullock, who was a key player in Salt Lake City's 2002 Winter Games, said he expects far less U.S. ad sponsorship money to be available to help fund the games this time. That's because a bid for the 2026 or 2030 Winter Games would mean the United States would host back-to-back Olympics with Los Angeles having been awarded the 2028 Summer Games. Bullock estimated Salt Lake City would need to host the games for $1.2 billion to $1.3 billion, not including extra federal funds for security. That's less than the $1.67 billion Utah officials estimated it would cost when it last did a detailed analysis. Making it more complicated is that Salt Lake City must defer to Los Angeles since they've already been awarded their games. Bullock spoke at a news conference with other members of an exploratory committee that was unveiled after the U.S. Olympic Committee board said that it was moving forward with discussions about bringing the Winter Games to America for either 2026 or 2030. The USOC has until March to pick a city for 2026; those expressing interest are Salt Lake City, Denver and Reno, Nev. The hosting rights would set to be awarded in July 2019. Outside the United States, cities that have expressed interest include Sion, Switzerland; Calgary, Canada; Lillehammer, Norway; and Sapporo, Japan. Switzerland's federal government said it is prepared to pay almost $1.02 billion toward Sion hosting the 2026 Winter Olympics. Bullock and other officials said their pitch will center on the fact that Salt Lake City can put on world-class Olympics for less money than cities that have to start from ground zero. They think that puts Salt Lake City in line with Agenda 2020, the blueprint that International Olympic Committee President Thomas Bach created for future Olympics calling for less spending on new venues and infrastructure. That's aimed to ease concerns of European voters who have consistently rejected Olympic bid plans since Russia chose to spend $51 billion on massive infrastructure linked to the 2014 Sochi Games. The 2010 Vancouver Olympics cost roughly $7.7 billion when taking into account construction and operations. Bullock said Salt Lake City's bid would focus on refurbishing and sprucing up venues from the last games. He said they would need to add only one new temporary venue for three new skiing and snowboard events that weren't in the 2002 games. A new Utah state audit found that a foundation that runs venues from the 2002 Winter Olympics in the Salt Lake City area needs about $39 million over a decade for infrastructure improvements that would put the city in position to make a bid. Two of the highest-ranking Utah state legislators — House Speaker Greg Hughes and Senate President Wayne Niederhauser — support finding taxpayer funds to make that happen. They said they don't think it's necessary to put in a mechanism to ensure the state gets that money paid back after the Olympics since the venues need to be upgraded no matter if the Games return or not to foster Utah's brand as a winter sports destination. Gov. 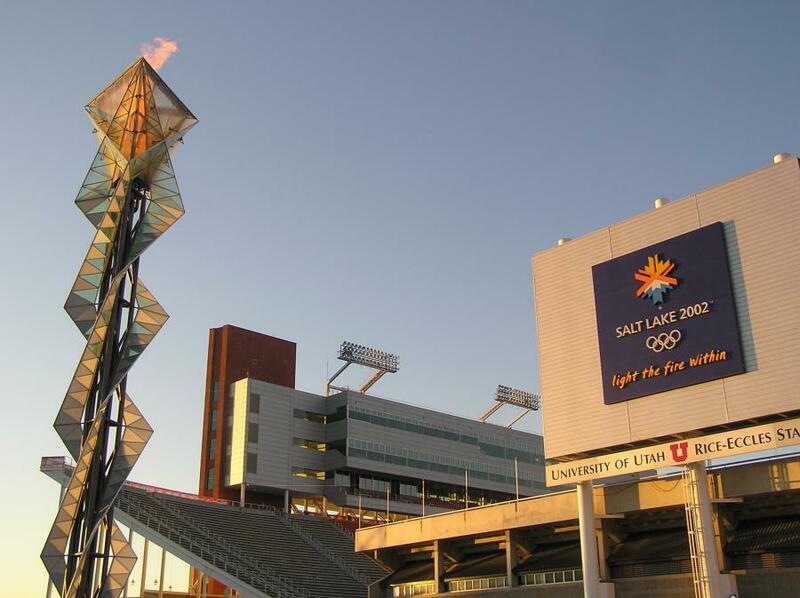 Gary Herbert, however, favors following the model used ahead of the 2002 Games when the state funded an initial $59 million for the construction of venues and was paid back after the Olympics finished. Bullock said it would be more comfortable to host the 2030 games, but that they are preparing to be ready to bid for 2026 too.